Within the next few years we added some dwarf trees to our collection too; lemon, nectarine, plum, pear, mandarin and lime are now part of our family too. 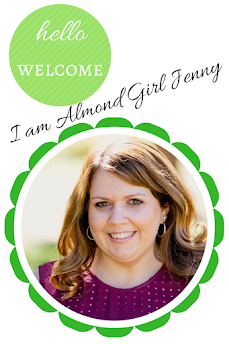 Whether you too have a backyard fruit tree, or an uncle you brings you a whole lug of apricots like me, or you just like to go to the community u-pick orchard or farmers market I am sure at some point you may be up to your ears in fresh fruit. You may be asking yourself, what to do you do with all that fruit? Recently on Instagram stories, I was sharing a few of my common uses of fresh fruit and it was requested I share some more. So here goes. I know it may seem obvious, but eating it fresh is my favorite way to enjoy it. 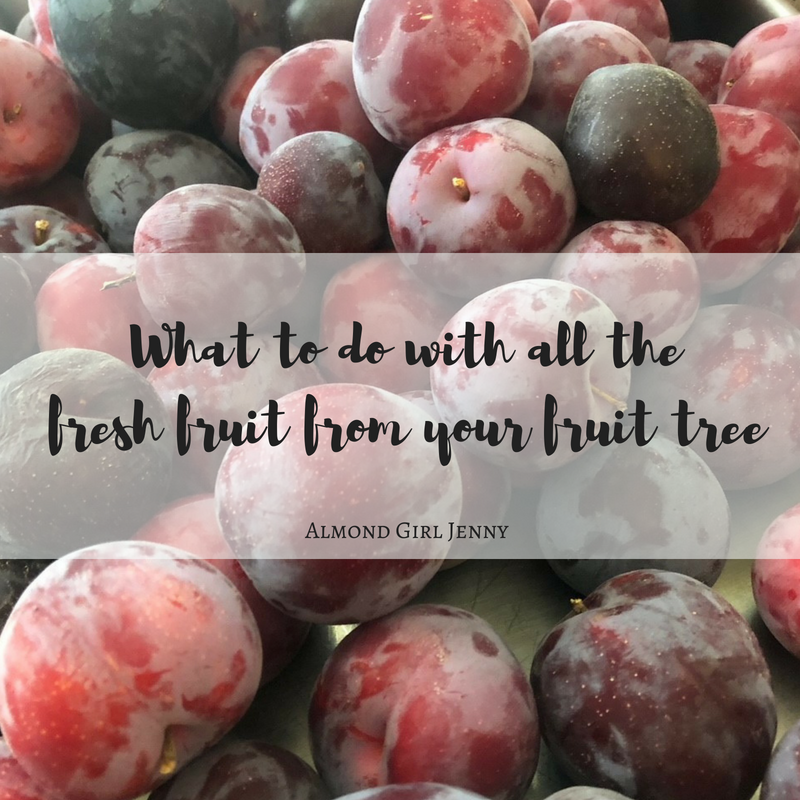 Pick them just a little on the green side, so when you have a pile of fresh fruit on your kitchen counter they will last longer. If you pick them all ripe right now you wont be able to eat them fast enough. Also, if you wait to pick them until they are just right, the tree will end up dropping the fruit before you can pick it. And, if you have a backyard pet, they may end up eating too much dropped fruit and then you will have mess to clean up. Go pick the fruit a little under ripe and you will have plenty to eat when they are just right. 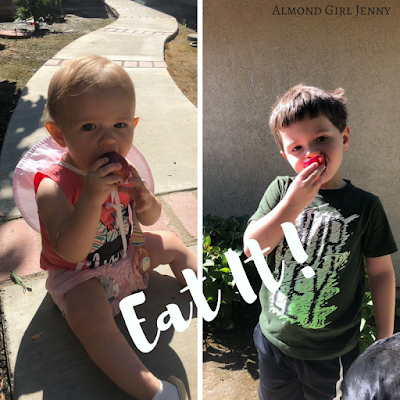 And if you have helpers like me when you pick the fruit, only half of the fruit will actually make it in the bucket... at least they are cute with plum juice dripping down their clothes. This is my favorite when you are overwhelmed with a giant pile of fruit. Flash freeze is the best way to freeze fresh fruit. My sister does this all the time and taught me her method. Cut your fruit in half and remove the pit. Lay in a flat layer, cut side up, on a cookie sheet lined with parchment paper. Place in a freezer for at least 30 minutes or leave over night if you are a crazy busy mom and forget about it! Then remove from cookie sheet and place in large freezer gallon ziplock bags or if you are fancy and have a vacuum sealer, use that fancy thing. Label and store in freezer until you want to use them. This is perfect for jam making later, smoothies, ice cream, flavoring up your water, really the possibilities are endless. I will add that freezing doesn't work for all fruit. It is great for berries and stonefruit like plums, peaches, nectarines, apricots. Peaches you would want to skin first. I have never tried citrus, I am not sure that would work out very well. Really it isn't summer without a peach cobbler or plum crisp. Everyone has their favorite cobbler, crisp or bar recipe but where are two of mine. I prefer to go a little unconventional. If I make a whole cobbler I will eat the whole pan in like one day. If I make muffins or cut a crisp into bars, I can portion size it out and make it last longer. So, what are my favorites? 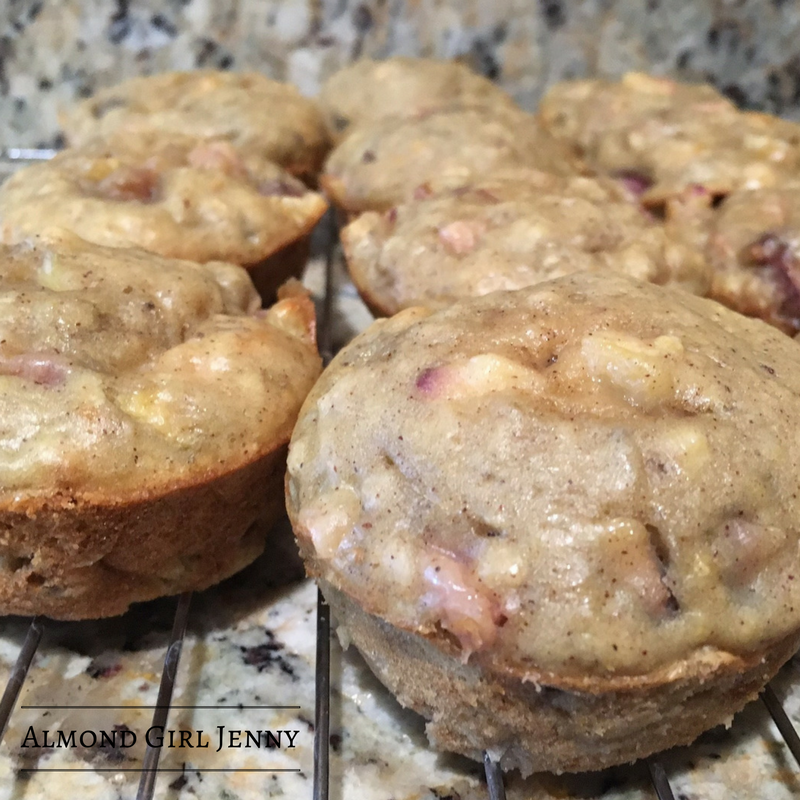 Almond Peach Cobbler Muffins and Plum Cobbler Bars are two of my go to recipes. 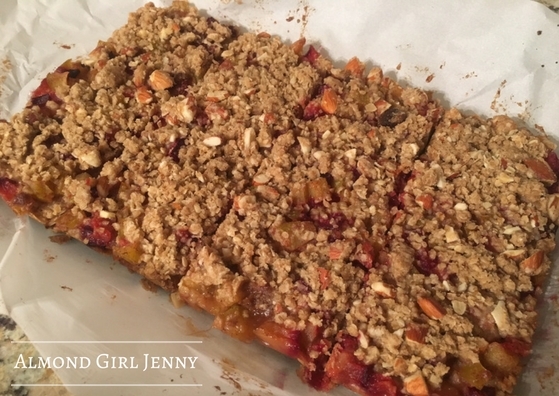 I think this year alone, I have made over five batches of the plum bars. I keep getting asked for the recipe, so here it is again! Also, I may sound a little repetitive here but make big batches of muffins and freeze some. When you are short on time or need a quick snack, grab a muffin from the freezer and plop it in the microwave. My sister is also known in my family as the jam queen. She makes jam like there is an apocalypse coming and we need jam to survive. But I don't complain, because I love the jam and I eat off of it all year round. 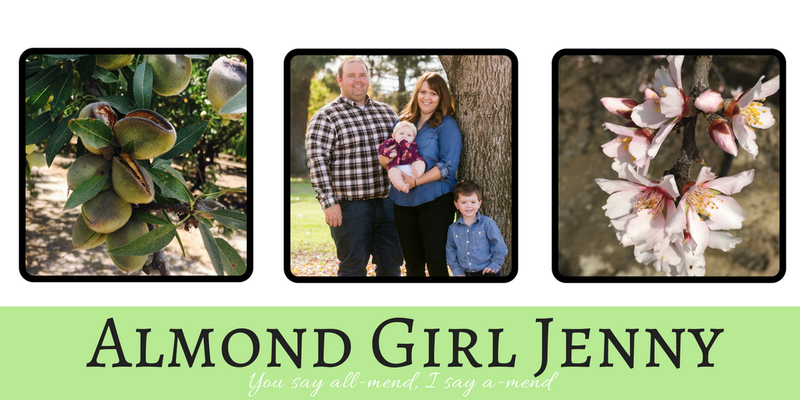 Peach jam, plum jam, and even pomegranate jelly is a household favorite in my house. In fact, my Dad planted an extra pomegranate tree in his fruit orchard last year just for my sister to make more jelly for us! There are a million different jam recipes and techniques to follow, you really have to find what works best for you. To be honest, I have made jam once, and I don't have the patience for it. I will gladly supply the fruit for my sister to make it for me. Her secret, freeze the fruit and make the jam in the fall once the temperatures have cooled off and your kitchen won't be a sauna when your jamming. Another alternative to jamming is butter. Fresh fruit butter is picking up all kinds of momentum these days. Fruit butter is gaining huge popularity because it doesn't require any special pectin or crazy ingredients. Just fresh fruit and sweetener if you desire. There are crock pot recipes making it an easy breezy idea to try. Now this is something I can get behind. 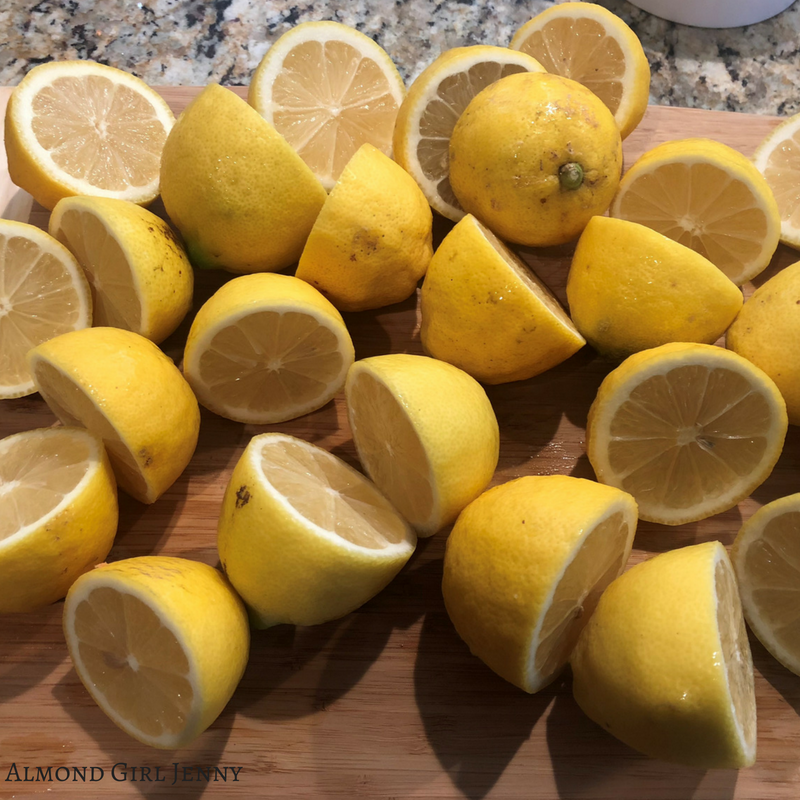 So, I know most of what we have been talking about is for your summer stonefruit trees, but I also have citrus trees in my backyard so I thought I would share what I do with them too. Juicing is my favorite thing to do with my lemons and oranges. I am not a big citrus eater just fresh. I can only eat like 2-3 oranges before I am over it for the season. But if I juice fresh oranges and remove the pulp, I will drink it longer. One of my go to uses with fresh juice is to freeze it. Here we go again with freezing, but it is a great way to enjoy the citrus after the season. I juice lemons and oranges and put in ice cube trays to freeze. Once solid, I remove the cubes and put in gallon freezer ziplock bags. Then, when I am having a party and have a giant canister of water, I take a few lemon cubes and put them with the ice cubes and a few sprigs of rosemary. They melt over time and make great flavored water. Also, great for marinating chicken or your favorite meat, melt a few cubes of lemon or orange and wip up your favorite marinate. They are also great for making lemonade or your own ice tea with a few cubes of orange. Once you have the cubes, you would be amazed how useful they are! One of the sad things about fresh fruit is that we can't enjoy it all year round. But with all these preservation methods we can! Drying the fruit is just another great way to savor fresh fruit beyond the season. If you have a dehydrator this can be so easy. 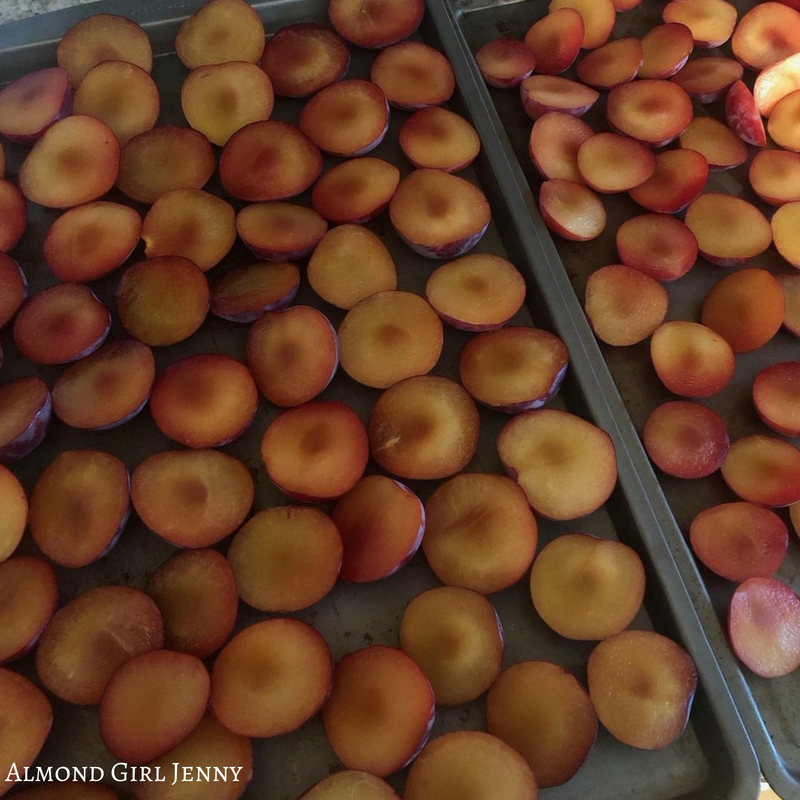 Just cut the fruit thin, place in your dehydrator and enjoy. Of course you can do it the old fashioned way and lay them outside in the hot sun to dry out. Now a days, I'd be a little nervous of my dog or neighborhood cat coming along and eating all my goodies. You can also dehydrate in a really low oven and crack the door. Since I have small kids, I wont be trying this method out. Dried fruit makes for a perfect snack time treat. It also helps with travel snacks. Way healthier than a bag of chips or cookies in the car. You can thank me later. You aren't the only person who loves fresh fruit. So do your neighbors, friends, family, bible study, coworkers, employees, your house keeper, your gardener, I am sure they would love some fresh fruit too. Summer is all about pool parties and backyard gatherings. Don't show up to the party empty handed, bring some fruit. I love to make little baskets and bring them with me. Some fresh fruit, a jar of honey, bag of nuts and maybe a bottle of wine. Any host would be happy to get that basket. So, don't be shy and share it! These are just a few of my tips and tricks of what to do with a whole fruit tree of fruit. Do you have more ideas and things you do with your fresh fruit? I would love to hear it! DM me on social media or comment below right here. When in doubt, take a bite out of summer and enjoy that fresh fruit!